Home / Homepage / Thinking of Renovating? A step by step guide to remove the uncertainty. 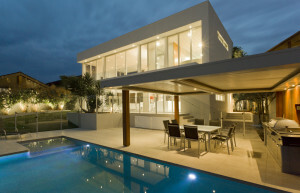 The decision to renovate is a common sticking point for homeowners, who can spend months weighing up the cost benefits. A survey by Finder.com.au found only 27 per cent of homeowners think refinancing their home loan to renovate is a feasible option to raise funds for the next big step. In this survey, 93 per cent of homeowners who refinanced to renovate, said they had concerns over whether they would be able to afford the repayments, and whether the proposed renovation would add value to the property. While your MFAA broker can’t assist you with forecasts on future property values, he or she can help you reassess your current financial position, run through your plans and future payments, and decide if you can afford to take on more debt. With a broker in your corner, the next step is to investigate how much you need to borrow. Work out the specifics of your renovation, what the average cost to renovate is in your area and how much you are eligible to borrow. You should aim to spend no more than five per cent of your property’s value on renovation. Once you decide to renovate, if you are trying to add value to a house to resell, it is important to look at the rooms and areas that will add the most value. Below are average renovation prices, however prices will fluctuate based on the city and suburb. Kitchen: If you are a fan of the show The Block, you will know kitchens sell houses. According to realestate.com.au, the average renovation cost you should be spending on a kitchen is between $12,000 and $16,000. Bathroom: The average bathroom space in Australia is six square metres. Look to spend around $9,000 – $12,000 as the bathroom is a highly trafficked space and needs to appeal to a wide variety of investors. Other areas: An extra bedroom or a deck outside both add appeal and improve the standard of living for the homeowners. The final hurdle to look at is the council fee. The council can charge you up to $2,000 for an application fee, although prices can vary. After speaking to a broker and finalising the renovation budget, make sure that you account for an extra 10 per cent in your budget, to cover any unexpected costs. Increasing your existing home loan. It’s our role to present the options to you. To make sure you get a great outcome, talk to us we are here to help.